Fighting about your children? How not to make your lawyer rich and damage your children by Krista Barth, Esq. My mom used to say there is “enough love to go around” for her four children and, of course, the children of her ex-husband’s new wife and any other child who happened to be around, needing a reassuring hug or a boost of self-confidence. That is the lesson I learned as a child of divorce. 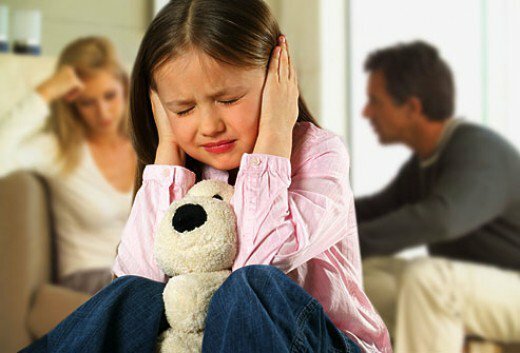 The everyday family law issues often include posturing as to who is the better parent, who is entitled to time sharing, when, where, and for how long, unfortunately with the curiously absent analysis of the best interests of the minor child. Distress over the “he or she never did that when we were married” regarding the bathing, feeding, or general everyday caretaking, are all too often looked at with cynical judgment rather than an acknowledgment that sometimes people rise to the occasion and do what needs to be done. In any event, the “new” interest and involvement whether perceived or real most certainly can only result in a happier, healthier child. In a world where the Department of Revenue brings suit over the non-support by parents and extraordinary efforts are made by some to avoid the financial and emotional responsibilities of parenthood, why is there so much fighting between the two people when they both just want to be involved and loving parents? Do I view the children as mine? Often I hear a party to litigation in a family law matter refer to a child as “my son,” “my daughter,” “my child.” It is with this erroneous premise that the games begin. This child is a product of two people. Whether you gave birth to the child, or were the only one to ever feed, bathe, clothe, take him or her to a soccer game or care for the child when sick, does not make them “yours.” Start to say, until you begin to believe it, “our” child. Children are not possessions to be parceled out by the Court. In many jurisdictions those without the ability to foster the loving relationships between the child and the other parent, have failed to meet a duty mandated by law. It begins with a lesson we learned in kindergarten, you must share the things you love. Do I harbor anger, hurt or resentment at the other parent for the failure of the marriage/relationship? How many decisions, actions/reactions are made from a place of pain or the desire to inflict pain? Are you really acting in the benefit of your child? Are you saying “no” to a request because you want to show control? If you are angry, this is a normal emotion, but it is never the catalyst for good decisions or good health. Get a good therapist because healthy children come from emotionally healthy parents. Can I articulate at least one positive thing about the other parent? Presumably, for most, once upon a time you looked into this person’s eyes and said, “I love you” for some reason, whether he or she was handsome or beautiful, funny, or a good provider. Look at this child you love so deeply and recognize you would not have “this” child without the benefit of the other party. List all the wonderful, quirky, and fun things about your child and give the other parent credit for at least a few! Do I believe I can replace the love of the other parent for the children? You can’t, simply put. You can be the parent better at organizing schoolwork or coaching football, just like in an intact marriage, but you cannot “replace” the other parent for the child. It is our lack of time, perspective, and sometimes ego that leads to disastrous results and very rich lawyers. Each and every individual who enters the life of your child adds something to their world. Do I feel threatened by the thought of someone else loving my child? Imagine your child without love. No kiss or hug goodnight. No hug when they have a bad day. Does that feel right? Think seriously about the alternative to allowing your child to be loved. (See 4 above, you will not be replaced). Do I feel a need to win? Am I trying to show that I am right, that I am the better parent or even that I am a good parent? It is better to believe we are the best parent we can be and really believe it without needing to be better than anyone else. There are no winners in this particular senseless fight and the losers will be your children. Have I made an honest assessment of what is in my child’s best interest rather than what is in my own? Often children are used as the last apparent bastion of control over the other parent. Ask yourself if this person is “so horrible” why did I marry him or her, have children with him or her leave him or her alone with the children when you were together. Make sure you are really not using your child for your agenda. Do I hold the other parent to unreasonable expectations? If you are expecting someone to be a “perfect” parent, you will be disappointed, whether that expectation is of yourself or your ex-spouse. Recognize people’s limitations. People are a product of all of their life experiences. That means no two people think exactly alike. The other party will not parent just like you. Balance is a good thing. (Glass half-full, here people because perception is reality). Choose battles very carefully. Focus on the positive, it may not be easy in the face of hurt, but it will go a long way to a happier childhood. Am I willing to feel pain, hurt and loneliness to spare my child from the same? People like to tell me they would do “anything” for their child. (Well as long as “anything” doesn’t mean giving up “my” night so my ex can take “my” child to a football game.) This is the big one because no one has children expecting to have them half the time, not tuck them in every night or allow someone else in as another parent. It hurts, physically hurts, to be separated from your child. It is not fair, not what you signed up for, and an understandable lament. However, in most situations, the only truly faultless party is the child. Our job is to spare the child from any more unnecessary pain, so lay down people, your train is coming. Krista Barth works at Eric M. Sauerberg, P.A., attended University of Baltimore School of Law and lives in Palm Beach County, Florida.